The February, 2012 SmartMusic® blog announced, “Create new music to win your dream vacation from Garritan!” Should I? Could I? The contest rules were very specific. 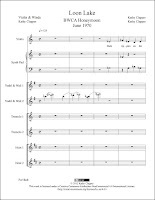 The composition had to use Garritan virtual instruments and incorporate an exact series of notes (G A Eb G A Eb Bb) and last no more than ninety seconds. It must evoke the atmosphere of a vacation destination. Composers would upload an audio of their composition to the Facebook contest page. Facebook users would click on the audio files, listen to them, and vote for their favorite. A panel of judges would pick the winner from the ten entries having the most votes. I grew up vacationing in one of National Geographic‘s fifty destinations of a lifetime. The Boundary Waters Canoe Area in northern Minnesota is a million-acre paradise, a wilderness of a thousand lakes with fifteen hundred miles of canoe routes. You leave behind the clamor of civilization and become immersed and enthralled by the sights and sounds of nature. My most memorable vacation in the BWCA was with Bob. We honeymooned there, portaging from lake to lake, followed by a pack of boy scouts for a mile or so! The most memorable sounds in the BWCA are loons calling to each other around sunset. I wrote lyrics, marrying memories of our honeymoon and the calls of the loons. I set the lyrics to a melody, incorporating the required series of notes. Then, using virtual instruments, tried to imitate loon vocalizations. Garritan virtual instruments performed the composition. I uploaded the audio to the contest page and people voted. Did I win? No, my song didn’t get many votes. But I wrote it for the man I love. He voted for it. It was his heart that I had won. Happy forty-sixth anniversary, Bob! 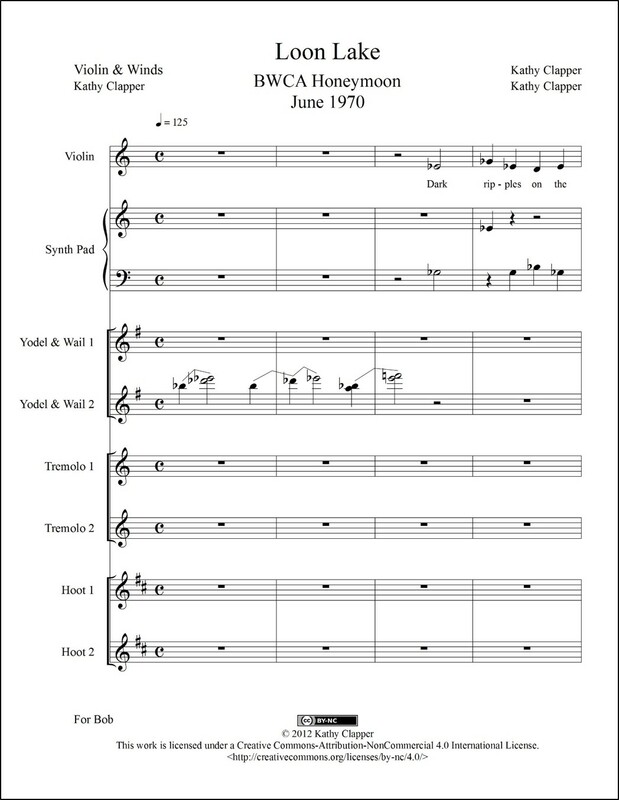 You can get print (PDF) and/or digital (MusicXML™) sheet music for Loon Lake. Click here to read the contest blog. Click here for the list of National Geographic's 50 destinations of a lifetime.